Medieval London was destroyed by invaders, racked by famine, fire and disease, and torn apart by religious and political controversy. But it grew to become one of the wealthiest and most important cities in Europe. 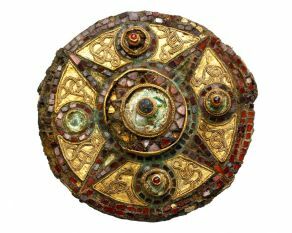 This beautiful brooch, from the Saxon town of Lundenwic, was discovered in the grave of a woman during an excavation in Covent Garden. 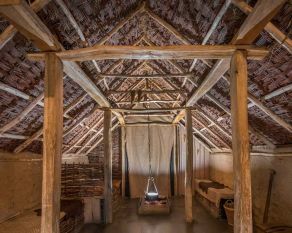 This reconstruction of a typical house shows what everyday life was like in the late Saxon town of Lundenburg. 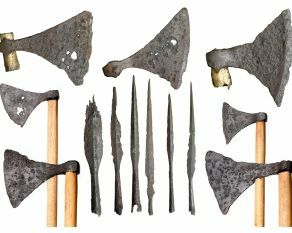 From the late 900s to 1066, Viking raiders armed with weapons like these attacked London, led by Scandinavian rulers like Swein Forkbeard of Denmark. 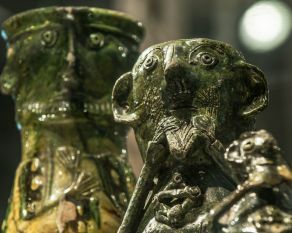 These jugs, made in Surrey for the London market, showcase some of the daily life of people who lived in London as it became a bustling commercial centre. 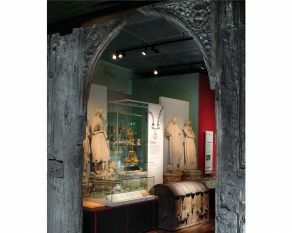 The gallery includes interactive maps to explore how London grew from the remains of the Roman city. You can also walk into an immersive exploration of the Black Death. 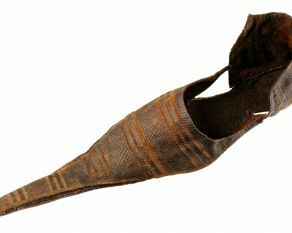 These pointed medieval shoes, known as a 'poulaine', were the height of fashion in the late Medieval period. The toes had to be stuffed with moss to keep their shape. 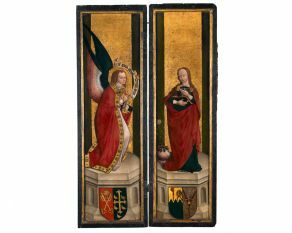 These opulent painted and gilded panels show the Angel Gabriel telling the Virgin Mary that she will give birth to Jesus. They would have flanked an altar. 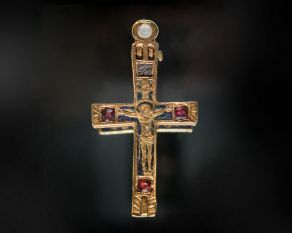 This small enamelled gold cross has a small cavity that was used to hold a holy relic - believed by its owner to be a fragment of the cross on which Jesus was crucified. 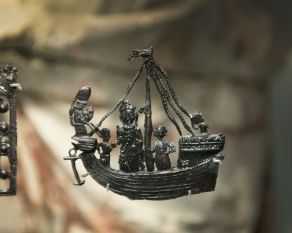 These badges would have been brought back by pilgrims from religious sites, such as Canterbury Cathedral, where St Thomas Becket was martyred in 1170. 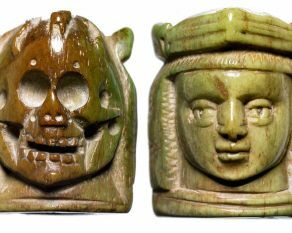 This bead is carved from bone, with a woman's face on one side and a skull on the other. Known as a "memento mori" it is meant to encourage thoughts of death and the soul. The gallery is on the entrance floor and can be accessed by lift. From April 2019, visit this interactive exhibition to discover the world of London's animals. See the city through experimental photography in our free exhibition. Who was the mystery Londoner and how did he die in the river Thames?